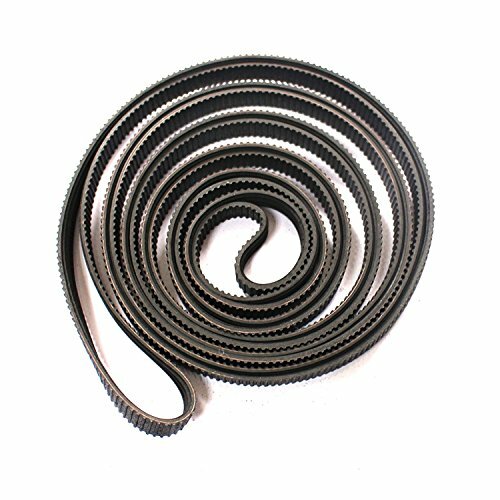 Description: New carriage belt for select 36" HP printers. **Please make sure you select the right length of belt. Although this belt is for a 36" machine, the actual length of the belt is longer than 36 inches. If your machine has a maximum print width of 24", you need the 24" belt. Compatible Part #'s: C4706-60082 Compatible Models: HP DesignJet 430, 450C, 455, 488, 700, 750C, 755CM Printers. Symptoms: Old carriage belts will tear over time and cause carriage stalls and potentially burn out the carriage drive motor, most belt wear is caused from lack of lubrication and correct preventative maintenance. If you have any questions about this product by S-Union, contact us by completing and submitting the form below. If you are looking for a specif part number, please include it with your message.